I have gingerbread cookies for you today!! 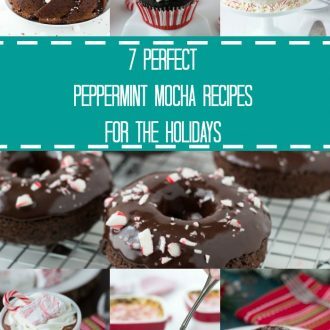 I am so excited to share this recipe with you finally. I’ve been making gingerbread men cookies every year since I started the ‘teaching myself’ journey to bake over four years ago. 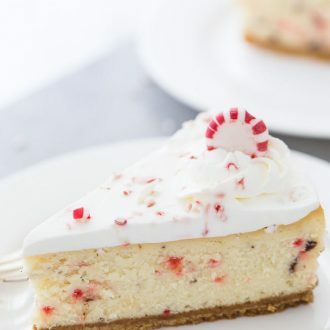 These classic guys are just a must in every baking arsenal and perfect this time of the year. I made a big batch yesterday that I have already packaged and are ready to be shipped to friends. The recipe itself is an easy but a solid one with the perfect cutouts every time. It’s from my Better Homes and Garden Cookbook, Bridal Edition which a friend of mine gave me for my bridal shower. Whenever I need a classic recipe to start with, I go there and it has never failed me. 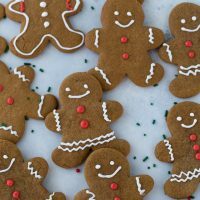 These gingerbread cookies have a soft spiced dough that is easy to handle with no sticky mess. To decorate the cookies, I used a royal icing recipe from Sweetopia, one of the cookie decorating queens on the interwebs. Unlike many recipes out there, this one is stable and easy to color without thinning out. Decorating cookies is NOT my strong hold so I tend to go the minimalist route. 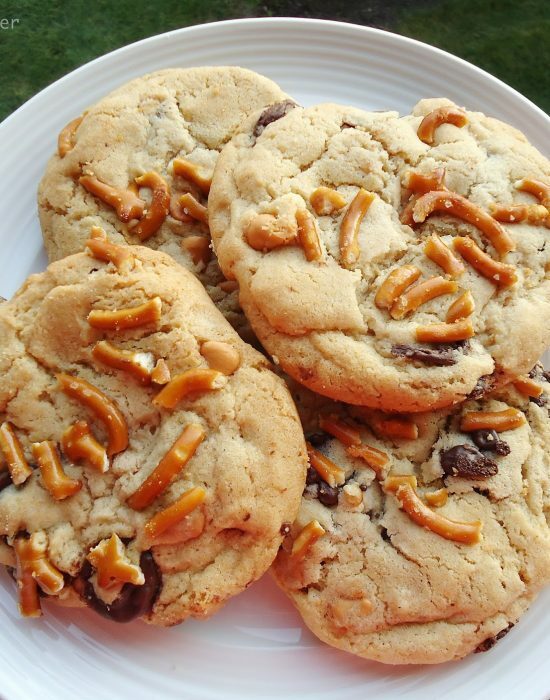 I wish I could flood cookies, make different patterns and combine layer. It never works out so I just have fun with it (and never take pictures of it!). 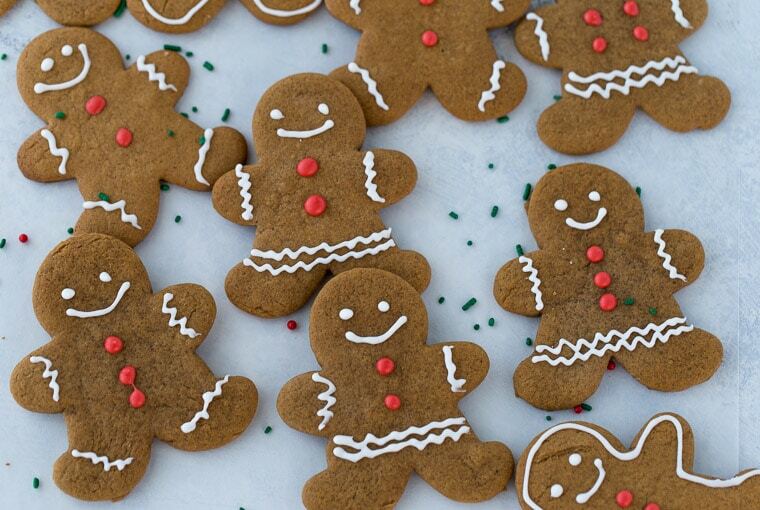 If you are looking for a great recipe for gingerbread cookies, you need to try this one. Easy, delicious soft cookies and a simple royal icing for decorating. 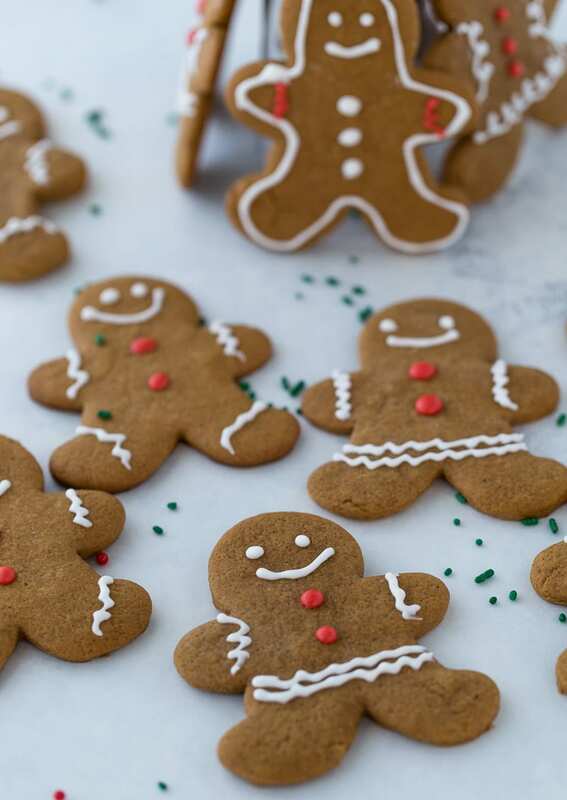 An easy recipe for gingerbread cookies that are perfect every time. Perfectly spiced dough that is easy to work with and royal icing recipe for decorations. In a large mixing bowl, beat the shortening on medium to high speed for about 30 seconds. Add the sugar, baking powder, ginger, baking soda, cinnamon and cloves. Beat until just combined. Beat in the molasses, egg and vinegar. Add in the flour and beat in as much as possible with the mixer. Use a wooden spoon to stir in any remaining flour. Divide the dough into two and chill about 3 hours or until the dough is easy to handle. 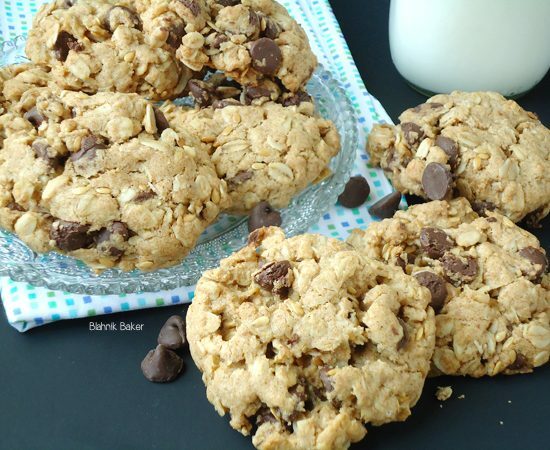 When ready to bake cookies, preheat oven to 375 degrees F. Grease a large cookie sheet. On a lightly floured surface, roll out half of the dough until ⅛ inch thick. Use a floured gingerbread man cookie cutter and cut out dough. Place the cutouts on the prepared cookie sheet, 1-inch apart. 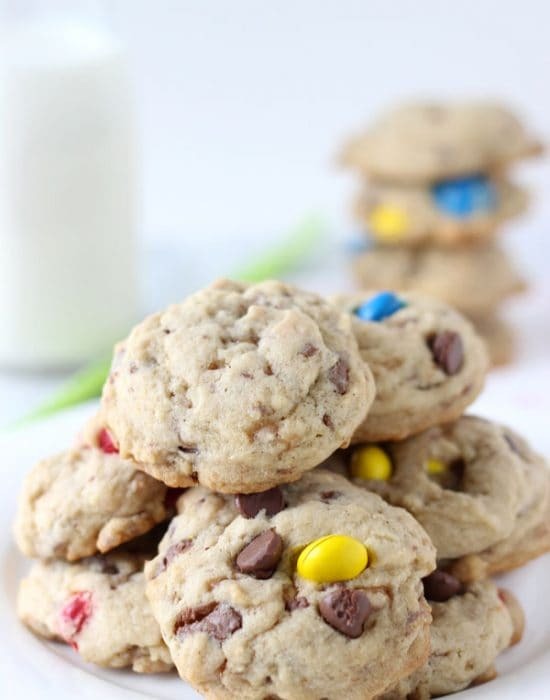 Bake cookies for 5-6 minutes or until edges are lightly browned. Cool on sheet for 1 minute before transferring to a wire rack and let cool completely. Whisk together the water, meringue powder and cream of tartar in the mixer bowl for about 1 minute. Add all the sugar and using the paddle attachment, beat on lowest speed for 10 minutes. I used Wilton Round Tip 1 for decorating. Well, I would take grandmas any time!! I agree! They are a classic that is a must have. 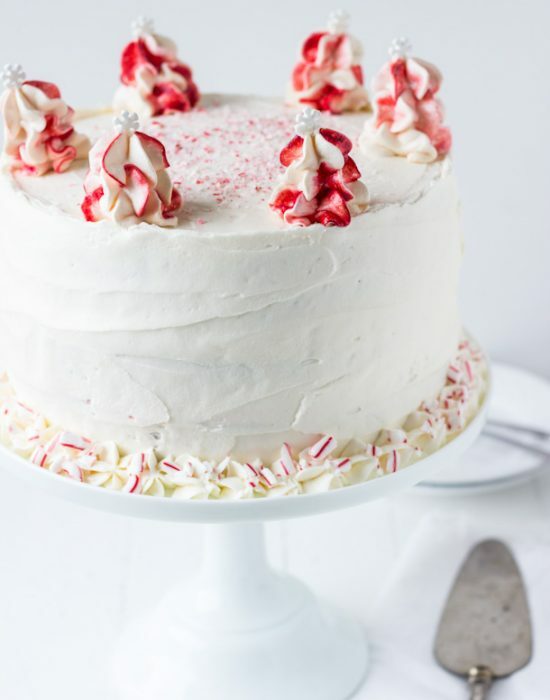 I don’t do Christmas big, but one thing I still love are all the holiday baking things! Yes, the baking is my favorite!! 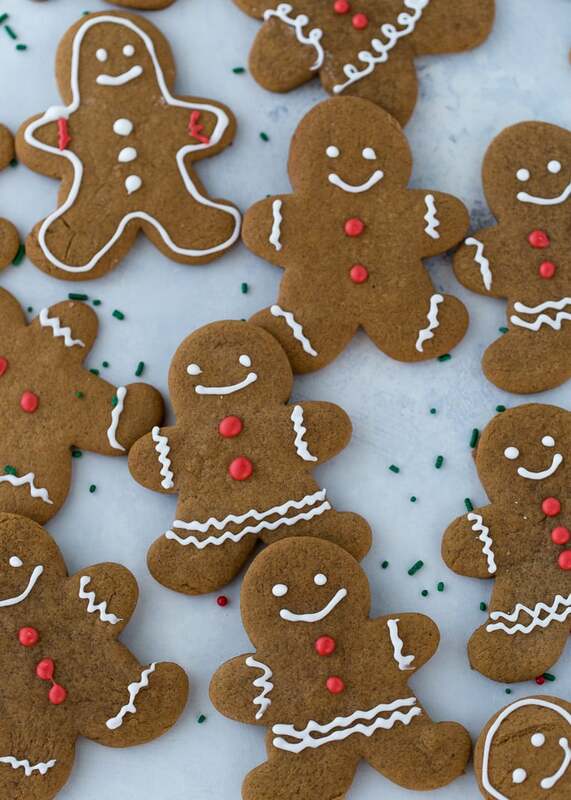 Those gingerbread men are so cute! 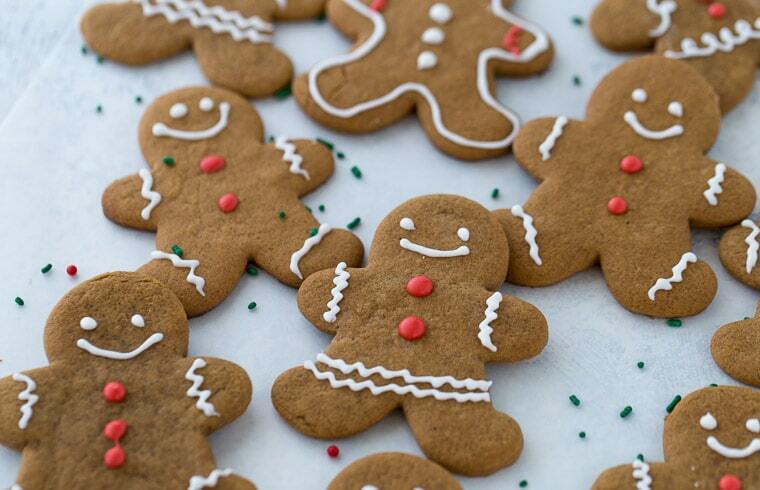 these gingerbread are FLAWLESS! so cute and I bet so tasty! Guess what…I just saw this yesterday in a newly opened bakery here. Thought I’d share some gingerbread cookies this year. Thanks for sharing the recipe and I need to start baking now.